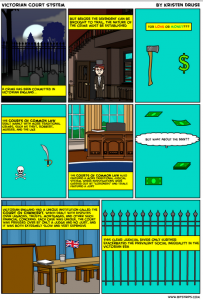 For our semester long project, we aimed to create a variety of Explainers that covered different topics related to the Dickens canon we read in this class. To start, we worked together to establish what topics we should be addressing with our Explainers. We decided that we wanted to know more about the time period within which Dickens wrote, as that directly and significantly impacts his writing and our understanding of it. 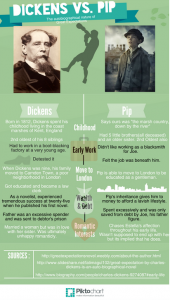 Our aim with these explainers was to provide potential Dickens’ readers with a good foundation about the era in which he lived, which will facilitate their understanding of the content and goals of his writings. 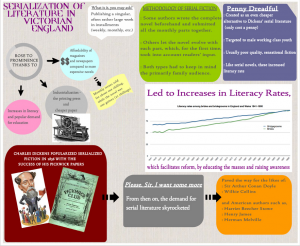 With this concept in mind, we faced the challenge of creating explainers that explored avenues of Victorian society different than those presented by each group weekly; we also needed ideas that weren’t too specific or broad and related to both Dickens and the Victorian era as a whole. Thus, during the class time designated for projects, we brainstormed in class and came up with a variety of topics that we wanted to explore and narrowed them down based on our personal interests. After deciding on our individual topics, we researched together in class and compiled a list of related resources concerning both the topics of our Explainers and different types of potential formatting. Finally, we individually pursued our chosen topics, collaborating with one another to create a number of Explainers. Once each explainer was finished, we convened a final time to discuss, critique, and compare our findings. We used a variety of tools and formats to create our Explainers, including Prezi, Easelly, Piktochart, and Bitstrips. We also combed through the literature for relevant and poignant information. In this way, we thought we could better demonstrate the variety of potential formatting for Explainers and the different approaches available. Through this project, not only did we learn more about Dickens and the time period in which he lived, wrote, and reformed, but we also learned how to more effectively find and utilize a variety of online tools, which help diversify the dissemination of information and more actively engage audiences in the material at hand. As for the content of our explainers, we learned about a variety of aspects of Victorian England. To begin, we studied the religious landscape of Victorian era England, which allowed us to more deeply understand the audience to which Dickens was writing. Dickens’ time was marked by the influence of four major religious sects: the Church of England (Anglicanism), Evangelicalism, the Broad Church Party, and High Church Tractarianism. Our familiarity with the ideological characteristics of the mostly Anglicanized society enabled us to gain a fuller understanding of how his works would be received. Next, we looked at the court system. Better understanding of the divisions in and the inequality of the Victorian court system is helpful when reading Bleak House as it explains the confines that the characters were functioning within. Bleak House is, more than anything else, an exploration of the flaws in the Court of Chancery, and understanding the structure of said court compared to the Courts of Common Law is helpful when attempting to dissect the very involved plot of this expansive novel. We then moved to the social class system of Victorian society. The stringent social class system in Victorian England is a topic that Dickens addresses in all of his works. By further researching the demographics and class stratification of this period, it allowed us to better understand the context of each of the four novels we discussed this semester. Looking more into the literature, we next researched the serialization of literature. Various technological and social progressions in Victorian times allowed serialization of literature to grow. The success of Dickens’ Pickwick Papers incited the serial literature market, inspiring other authors to write serial literature. The results of the spread of serialization helped incite reform across England. Finally, we ended with a look into Dickens. The autobiographical nature of Dickens’ Great Expectations shows us that the greatest works are often drawn from our own personal struggles. We see that Pip is able to be a believable character with relatable problems because these are the very same problems that Dickens faced in some way or form. This entry was posted in Uncategorized on December 12, 2014 by Lizzie Messana.